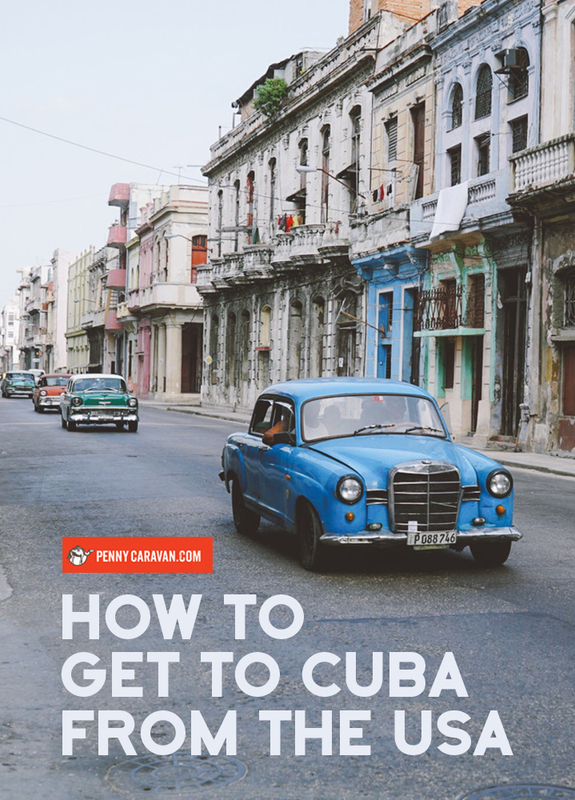 Planning Your Trip to Cuba from the U.S. Many U.S. travelers have been excited about the prospect of visiting Cuba since President Obama announced that the two countries would seek to normalize relations after 50+ years of enmity. Cuba has been off-limits to U.S. tourists during the embargo, although that hasn’t stopped some enterprising travelers. We had this trip on our radar for a few years, so when the first announcement was made we immediately sprang into action to plan the trip. With the prospect of the embargo ending soon, we wanted to experience the romantic Cuba of our imaginations. What’s that you say? You’d love to experience that as well? Great. This post will help guide U.S. citizens into making that a reality. 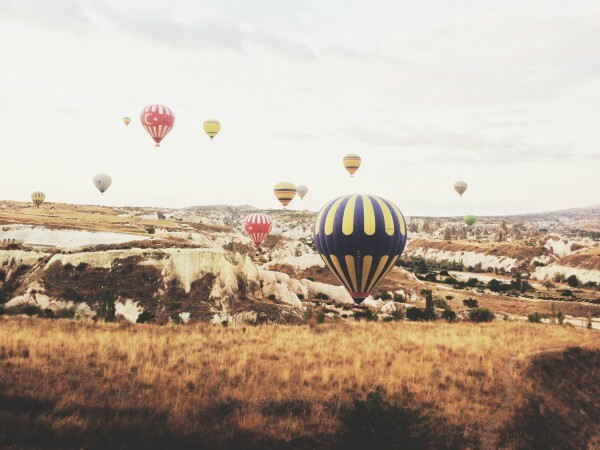 Even though relations have changed a lot, there are still several rules you need to be aware of, as well as potentially complicated travel logistics to take into account. General tourism still isn’t permitted. According to the White House, to take a trip to Cuba your reason for visiting has to fall under one of these twelve categories: family visits; official government business; journalistic activity; professional research and professional meetings; educational activities; religious activities; public performances, clinics, workshops, athletic and other competitions, and exhibitions; support for the Cuban people; humanitarian projects; activities of private foundations or research or educational institutes; exportation, importation, or transmission of information or information materials; certain export transactions that may be considered for authorization under existing regulations and guidelines. Now, what that actually means in the real world seems kind of vague. Prior to the January announcement linked above, you had to obtain a license to travel under one of the 12 reasons. But with the elimination of the need to actually obtain the license, it seems you can travel on your own as long as you can claim one of the reasons for your trip. As travel bloggers, we went under the banner of journalistic activity, but it’s important to note that we never had to actually confirm this information with anyone. No one even asked! Perhaps there are some clarified definitions for these categories posted somewhere, but I haven’t found it. In practice, traveling to Cuba may still have some restrictions on it, but these restrictions aren’t really enforced, and they haven’t been for quite awhile. In short, yes! Cuba has millions of visitors every year from all over the world—from Canada, Europe, South and Central America. It’s just U.S. citizens who haven’t been able to enjoy the island nation. Though they do have beach front resorts, it will be awhile before Cuba is able to accommodate the massive influx of American tourists that are sure to come when the embargo is lifted. All the more reason to go now! 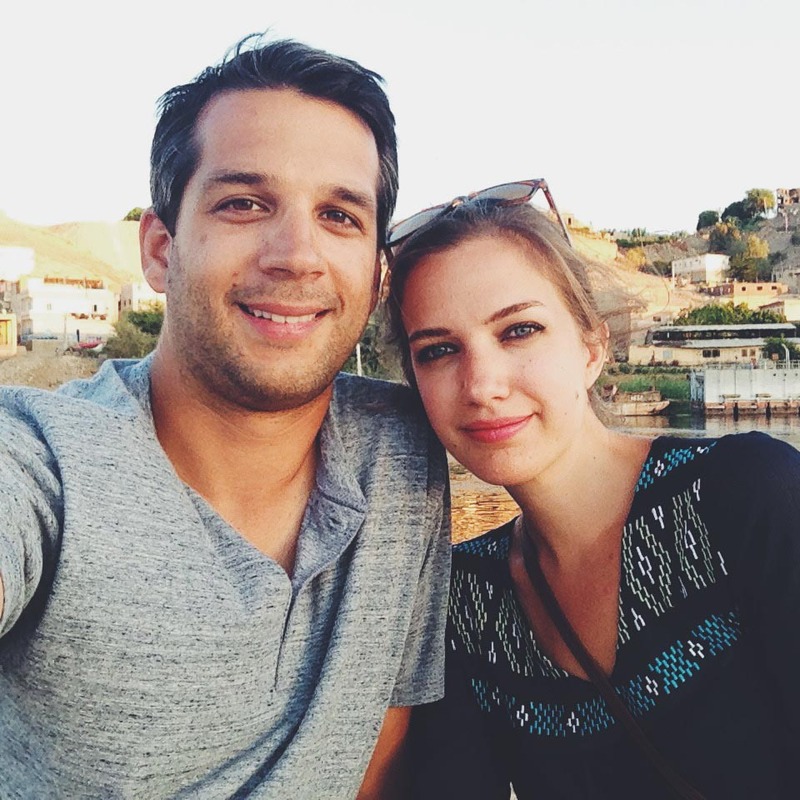 Even for U.S. citizens, getting into Cuba isn’t an issue. You may be questioned on arrival, but just like any other destination, they just want to know your travel plans—where you are staying and for how long, etc. The only real “issue” with traveling to Cuba is coming back home. We expected some questions upon our re-entry to the U.S. and thought we would at least have to claim membership into one of the 12 categories, but again, no one ever asked. 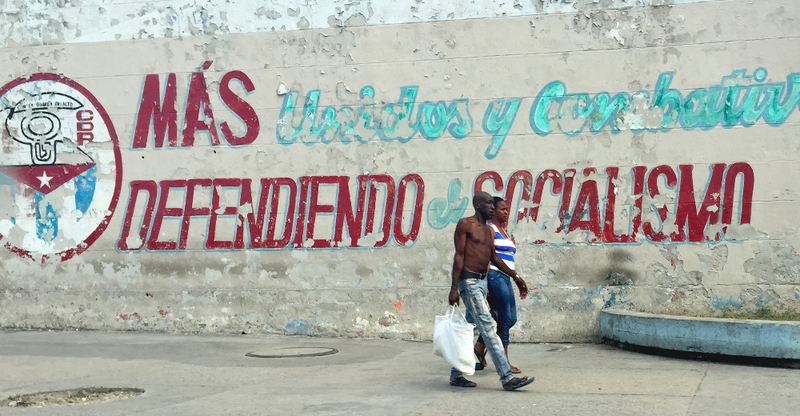 Walking around Havana, we were certainly stopped plenty of times by curious locals who wanted to talk. They were all pleased to hear we were from the U.S. and everyone seemed genuinely excited about the coming U.S./Cuba relational changes. They were happy to have us there, and we felt completely safe during our whole visit. Be respectful, don’t engage in political conversation, and I’m sure you will feel just as safe as anywhere else. Currently there are direct flights from Miami and New York. But it may be easier and cheaper to fly into Mexico City and then to Havana. 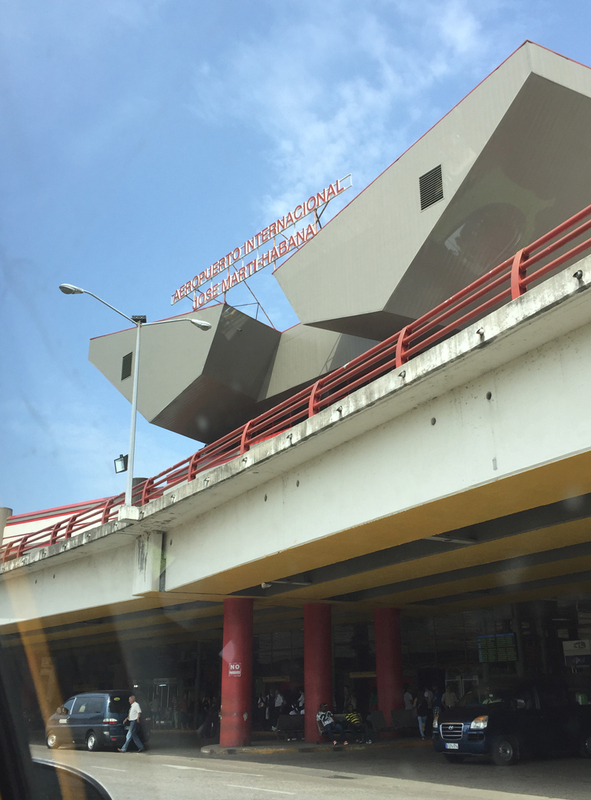 We flew into Mexico City for free (using points!) through Southwest Airlines, and then from Mexico City to Havana for $275/pp roundtrip on Interjet. How do you get a visa? 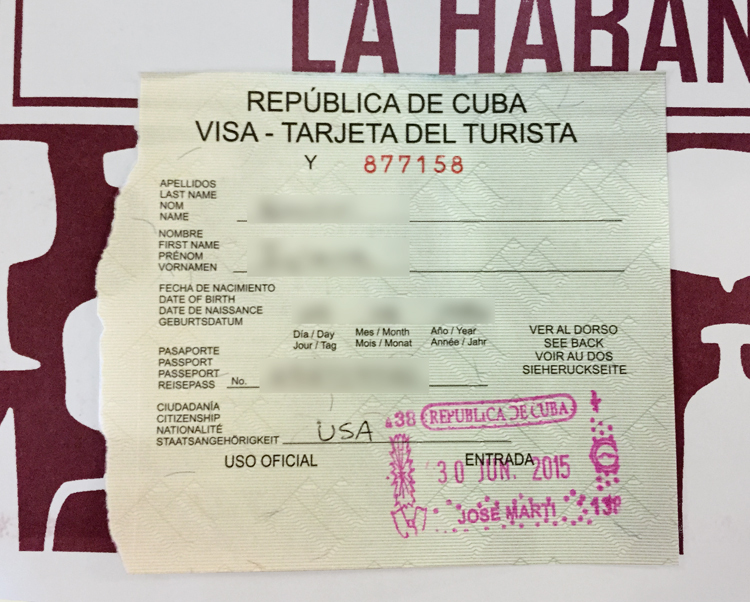 You will need to secure a tourist card BEFORE you arrive in Havana. We did this at our airline’s ticket counter at the Mexico City airport just before our flight. The cost was $25/pp. Keep it with your passport at all times because you will need it when you leave Cuba. We had heard there would also be a departure tax when we left, but in our case it was included in the price of our airfare. Check with your airline to be sure. You will also need to purchase travelers insurance when you arrive in Cuba. There is a counter where you can purchase this just before the immigration counter at José Martí airport. Staying in a Casa Particular is an affordable, and popular way to go. These are private homes that have opened up rooms for rent, like a bed and breakfast. This is a great way to get to know and support local people. 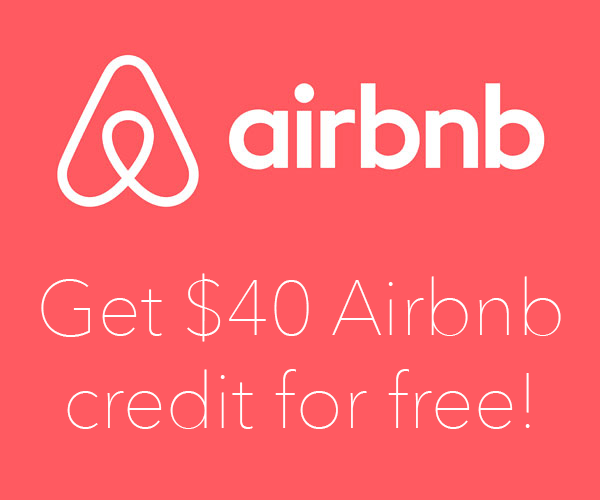 With Airbnb opening up their site to Cuba, finding a Casa has never been easier. Check out our review of Casa Densil, where we stayed. Alternatively, you can stay at a state-run hotel such as the Hotel Nacional or Hotel Inglaterra. Despite the announcement that American banks are free to process transactions originating in Cuba, American credit cards will still not work in Cuba. This is because it hasn’t yet been approved on their end, as well as there not being sufficient infrastructure to process payments at various businesses. You should bring cash with you and exchange it at the airport as you will not be able to withdraw money from an ATM. Exchanging USD incurs a 10% penalty so it’s better to bring another currency such as Euros or Canadian dollars. We used Mexican Pesos, which is also another good option. How much you need is up to you, but you don’t want to be caught with too little, since when it’s gone, it’s gone. We took about $120USD per person per day and had just enough. You could definitely spend less, you could definitely spend more. Really depends on how many mojitos you plan on drinking! We burned through our remaining few CUC at the airport on cigars and souvenirs. 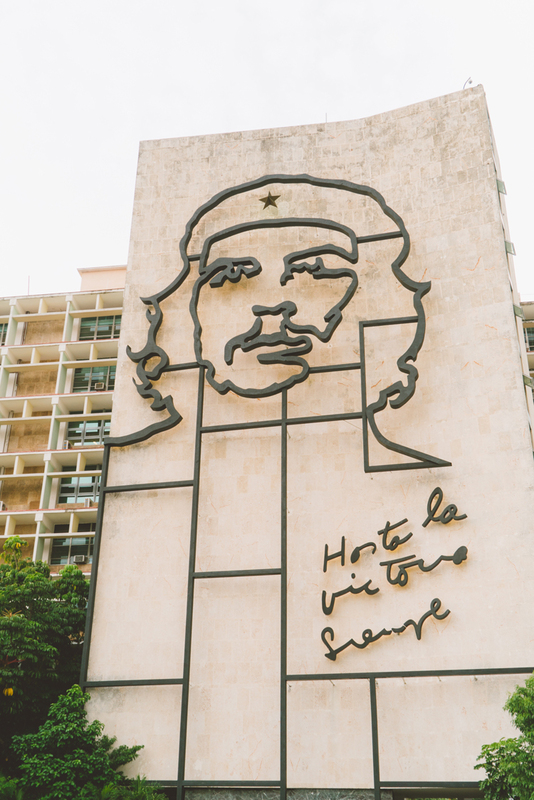 Traveling to Cuba may seem complicated for us Americans in this new era of U.S./Cuba relations, but in our experience it was relatively simple. If you’re thinking of planning a trip and have some questions, leave a comment or send us a message on facebook; we’d be happy to help you get started on your journey! All great info. Thanks for sharing your experiences.